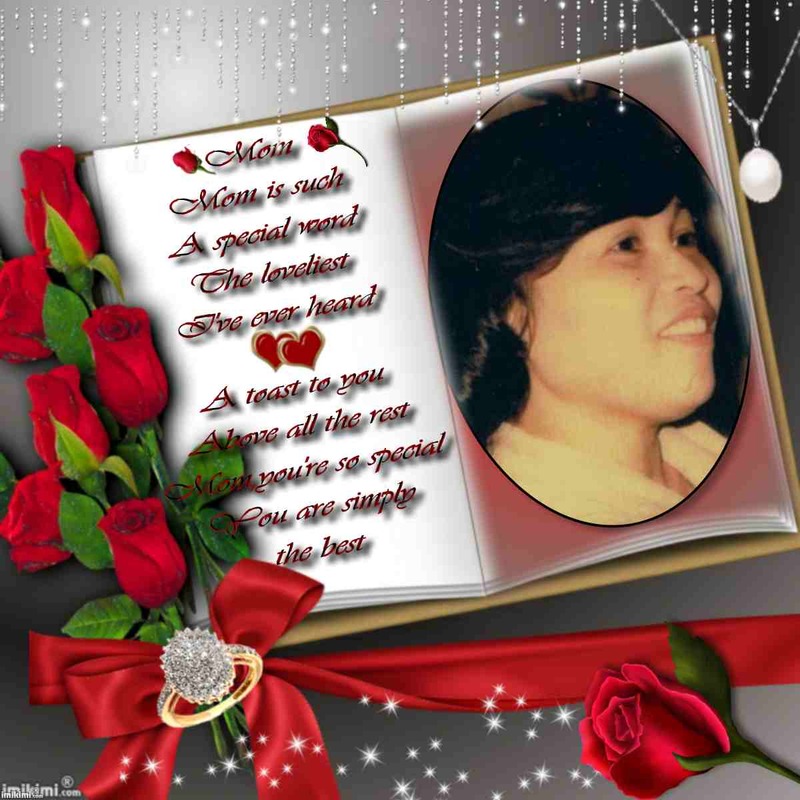 FLOWERSBLOOMS by "Elvie": My Mom Will Always Be There...Happy Mother's Day !!! My Mom Will Always Be There...Happy Mother's Day !!! My mom passed away six (6) years ago. But although she is gone, all her memories I have always kept in my heart. These are the most important treasures I have in my life. All the happy moments, her wisdom, kindness, unconditional love and sacrifices shall remain in my thoughts and heart as long as I live. Mother's love is the greatest love in the world and her love and guidance will lead us to the right path. She will give us the strength to overcome life's challenges. She is like a candle that gives us the light when darkness surrounds us. 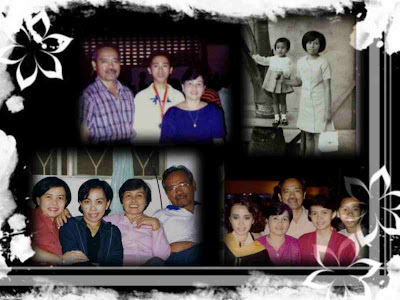 Today is Mother's Day, a special day to honor our beloved mothers. Make your mom special with loving gestures that comes from your heart not only today but everyday. That is the greatest thing you can do for your mom in appreciation for all the things she have done to make you a beautiful person in and out. Materials are nothing, it is the action that counts and leaves a lasting mark on one's heart. Do it now not tomorrow because you will never know when God will take her away from you to be with Him in heaven. Below is a poem I made dedicated to my wonderful mother ! And beautiful like a fairy. An angel in her eyes. She was a great teacher ! I thank God for a great mom ! HAPPY MOTHER’S DAY TO ALL MOMS !!! American Idol... Who is next ? Who Wouldn't Love Greg !